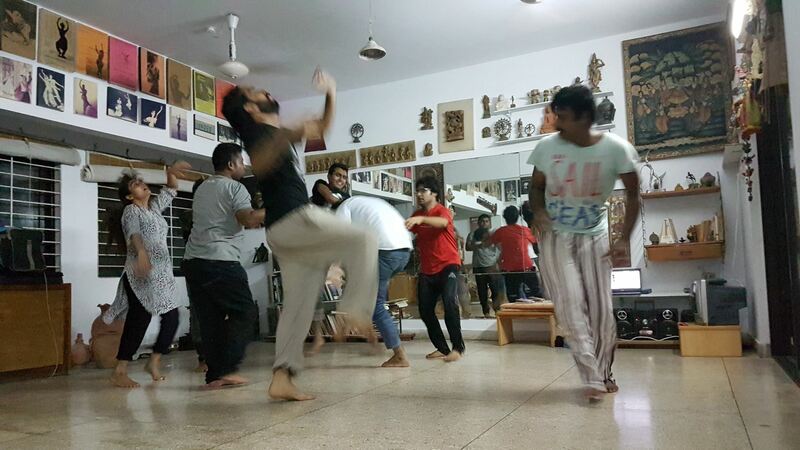 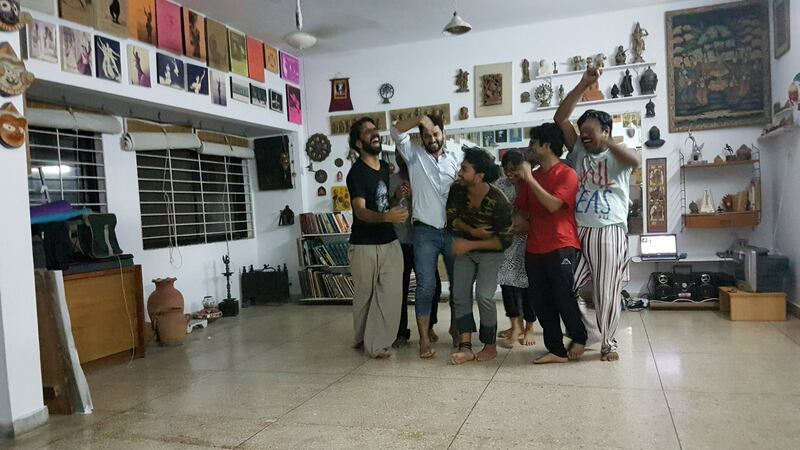 Over 2 weeks in Karachi workshops were held at Tehrik-e-Niwan’s studio. 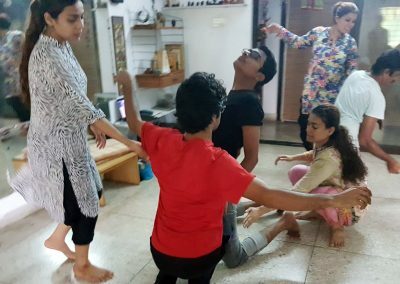 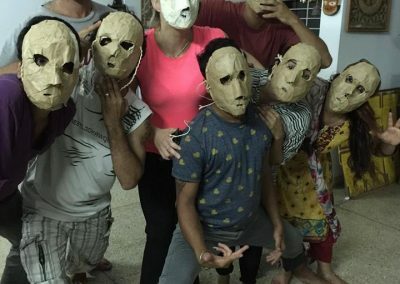 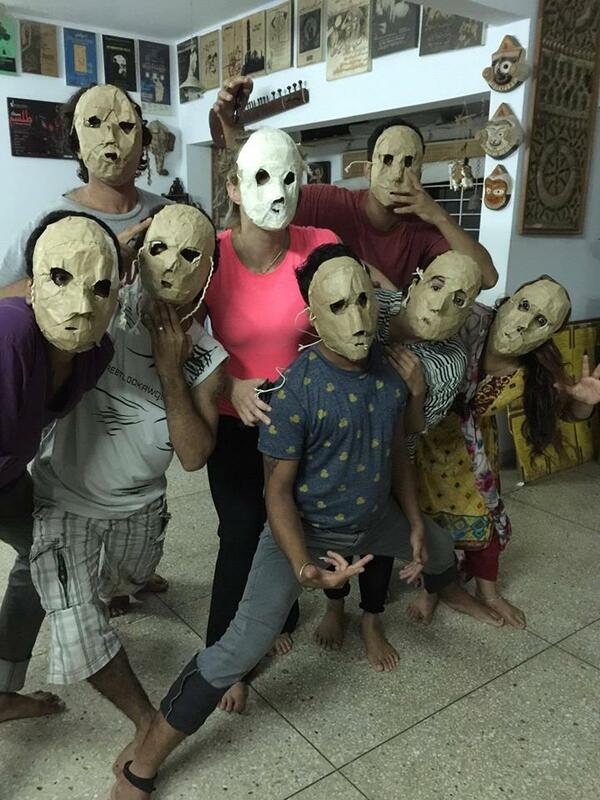 In 2017, workshops to develop physical theatre skills amongst Karachi’s leading performers will form the basis for a collaborative production in 2018. 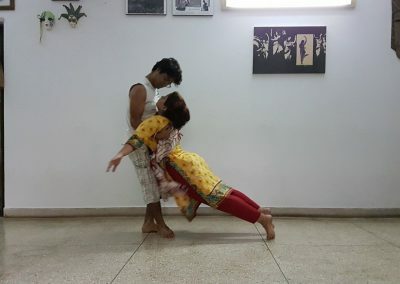 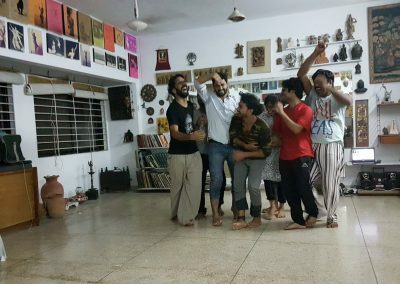 Arts for Action is working in partnership with Tehrik-e-Niswan to develop a network of community based theatre practitioners who could turn their hand to education and awareness on governance and justice issues in communities through forum theatre and the arts. 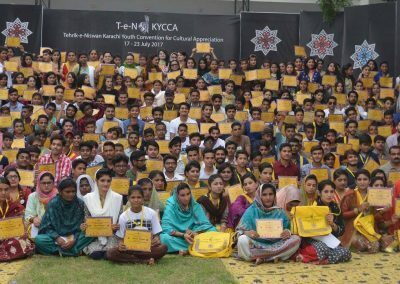 Models developed with the Governance and Justice group – have been taken up in numerous countries in Africa and Asia. 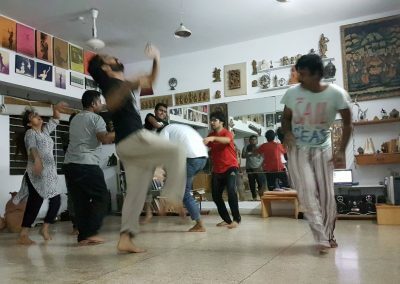 Together, this network would contribute to a national programme aiming to improve the situation for women and children – in accessing justice and rights, understanding of democracy, and enhancing young people’s role in peace and working against extremism – through ongoing arts and media activity. 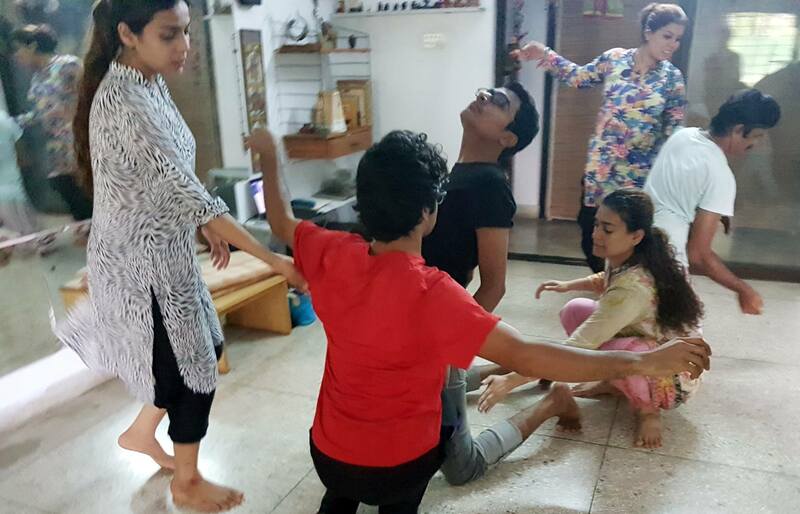 Alongside the Legal Aid Society we are exploring how Tehrik-e-Niswan can provide legal empowerment through interactive theatre at community level, in prisons and support the Legal Aid Society’s ADR programme.